The last time I went to my therapist, she gave me an article which contained guidelines for the changes you can expect overtime when you decide to take hormones designed to feminize your appearance. They come from a group of Western New York organizations. Including the Gay and Lesbian Medical Alliance, the National Center for Trans Equality and others. I would add from my own results, quite a bit of change is determined by how much your dosage is when you start. For example, nearly all of my first year on hormones was at a minimum and then a year later I was taken off my meds totally due to a medical problem. So. all together I have been on HRT for nearly five years. I would also add (for me) my hair growth (on my head) took off and finally after all these years I am starting to see fat distribution to my hips. Of course emotionally, I began to feel the feminizing effects immediately. I cried more in the first three months or so than I had in my entire life. Finally, I learned how cis women deal with their thermostats. When they say they are cold, believe me, I found out they are and then again there were the vicious hot flashes one can go through. When I talk about transgender women and HRT though, I always tell you all this disclaimer: Please seek medical attention before you undertake this process. Additional information from where I received mine (including masculiniizing medications) can be obtained by going here: www.gayalliance.org. 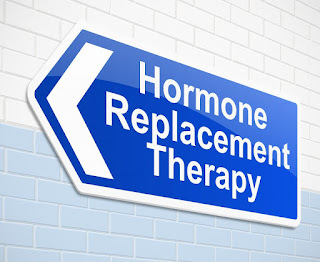 Finally, remember too, HRT is no replacement for the woman you feel in your head. It's only a tool to align yourself, if you can safely do it medically.